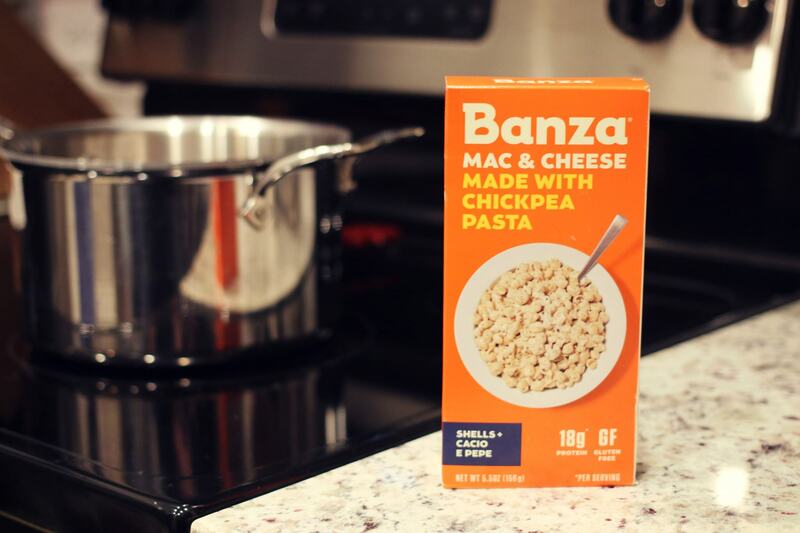 Gluten free and made from Chickpea flour, Banza pasta is high in fiber and a great option for anyone who is vegan, vegetarian or has specific dietary restrictions. I fell in love with this product after watching the Netflix Generation Startup showcasing a series of entrepreneurs and their journeys to creating startup companies. I watched as founder Brian Rudolph and employee Avery Hairston developed the first ever chickpea pasta. I related to their story of daily hard work, trials and errors of creating something new an innovative. 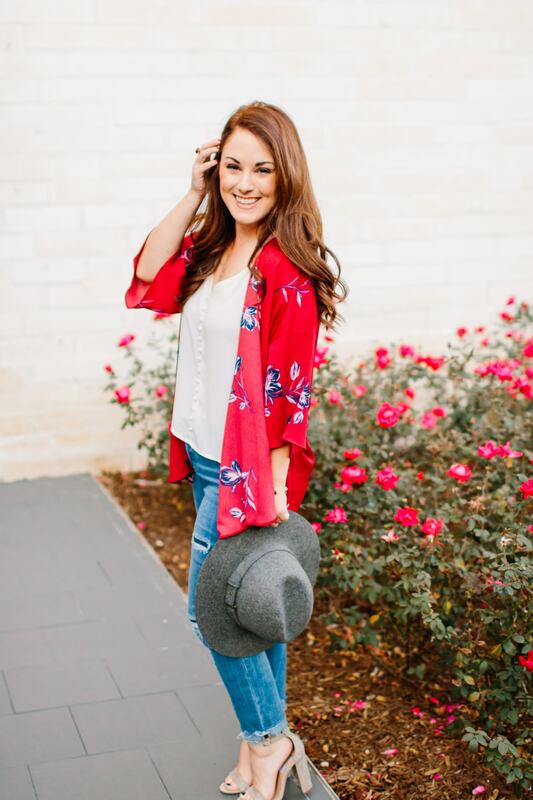 Entrepreneurs at heart, the duo went on to create a wonderful product that I couldn’t wait to try. 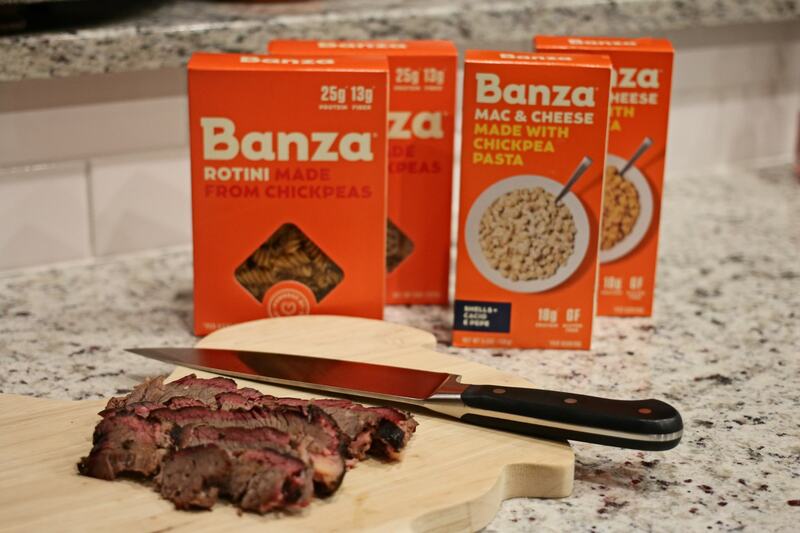 Adding it the grocery store list I wondered if my small Texas town would carry such a unique product but was pleasantly surprised with Banza beat me to the punch and reached out to me to send a few boxes for me to tryout! I had a lot of fun trying out the different pastas and created a Texas edition recipe that I wanted to share with y’all. The mac and cheese selection that I tried was really great and by far my favorite so far. Follow the instructions on the box of Mac & Cheese. As your pasta is cooking, chop the brisket, basil and mix with Parmesan Cheese and set to the side. Once your pasta is cooked, drain and follow the instructions provided by Banza to create the cheese sauce. Mix the pasta and cheese sauce together and then add the brisket, basil and Parmesan cheese. Plate, drizzle a little barbecue sauce on top and enjoy! To find a grocery store near you or to order directly online visit EatBanza.com.